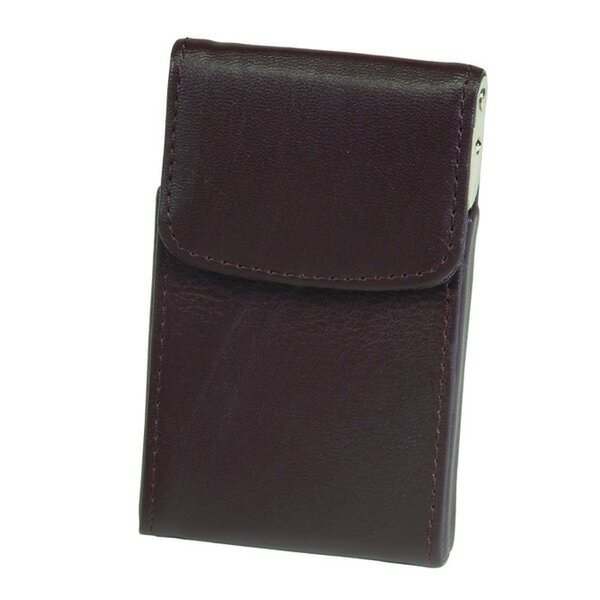 This uniquely designed leather card case is fashioned of genuine leather with a chrome frame. Lift the front flap and 50 of your business cards slide up for easy access. An extra pocket in the back lends quick access to picked-up cards and small items. Style and convenience. I use it for credit cards, health cards. and license.